Nordstrom have launched a sneaker boutique, a lifestyle concept shop that brings together fitness and fashion. Nordstrom x Nike will each month introduce limited-edition product, as well as curated collections of activewear, sneakers for runners and sneakerheads alike, activewear and athleisure, accessories, tech and more. The vice president of creative projects, Olivia Kim, has curated the shop with select seasonal items from the store’s different departments and merchandised alongside Nike product, such as denim, leather jackets, designer handbags, exclusive jewelry, curated beauty products, workout accessories, polaroid cameras and more. Currently 3 locations exist including Seattle and Toronto, not even NY or LA have it yet! Known for their hotly anticipated designer collaborations and this time is no exception. This November sees H&M collaborating with French brand Kenzo. Like with last year's Balmain collection, the collection does not come cheap. Larger pieces including jackets and layered dresses range from $349-$549, with smaller accessories like beanies and sunglasses starting at $24.99. Set your alarms Kenzo X H&M launches on November 3. 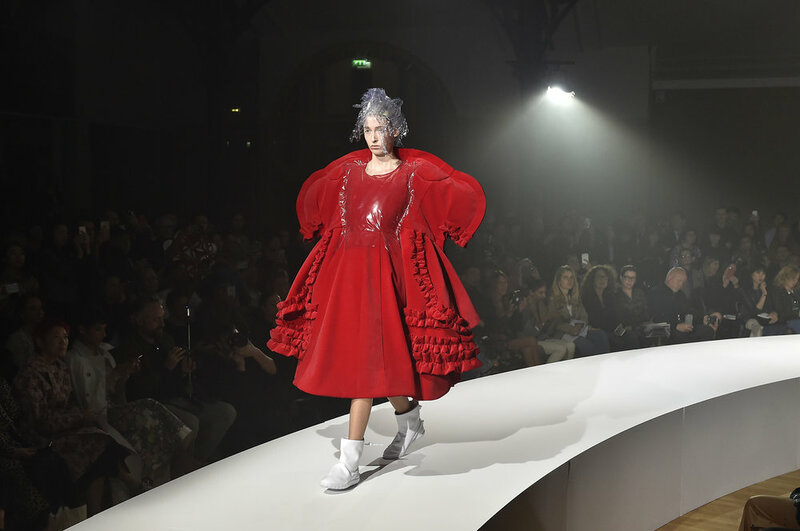 It's official the next Met Gala and exhibition will be Comme des Garçons’s Rei Kawakubo. This will be the museum's second time that they have featured a living designer; the first was with Yves Saint Laurent back in 1983. The exhibition will feature 120 designs going all the way back to the first collection in 1981 and divided into contrasting themes like East/West, male/female and past/present. The exhibition opens May 4 with the benefit gala taking place on May 1. The secret’s out: Target just announced their next design partner, and it’s none other than internationally-known businesswoman, fashion designer and mother of four, Victoria Beckham. Victoria Beckham for Target includes more than 200 items for women and kids, marking the designer’s first foray into designing children swear. The collection reflects the essence of the Victoria, Victoria Beckham line, with easy-to-wear dresses, rompers and playful tops and bottoms for women, and corresponding styles for girls, toddler and baby. Hear what Victoria, herself, has to say about the collection for an interview with Target. The Victoria, Victoria Beckham line, or “VVB" as it’s often called, was launched three years after I began Ready-to-Wear, and is a lifestyle range incorporating all the pieces my customer needs in her wardrobe—at a more accessible price point. I always describe VVB as the younger sister to the Ready–to–Wear. It’s a range that reflects what I think of as the more “playful" side of my own style. The collections within VVB are fun and full of character, but always stay true to the refined brand spirit. The line of women’s and childrenswear that I have created with Target perfectly encapsulates the spirit of VVB and features some of the earlier silhouettes that the category originally became known for. From the outset of my brand, I have always designed clothes that I want to wear, and that’s exactly what I have done here, but this time there are also clothes that my daughter would love to wear, too!! In celebration of the new Ab Fab, the movie, I look back at some of my favorite fashion shoots with Edina and Patsy. Kate Middleton has finally made her Vogue debut! Shot by my friend and former colleague Josh Olins for the June issue, two of the pictures will also be part of the Vogue 100: A Century of Style exhibition at National Portrait Gallery. We, and I mean the fashion industry, have all been waiting for this moment. We've seen Princess Diana on the cover many times and even Princess Anne has been featured.